Be game day ready and show your NRL colours with this Newcastle Knights 2019 Men's Grid Performer Polo. This polo has been integrated with an anti-microbial and moisture wicking finish to keep you cool and dry as the action on field heats up. Featuring the club logo embroidered on the left chest, with club colour striping on the collar, clearly displaying the passion for your team. 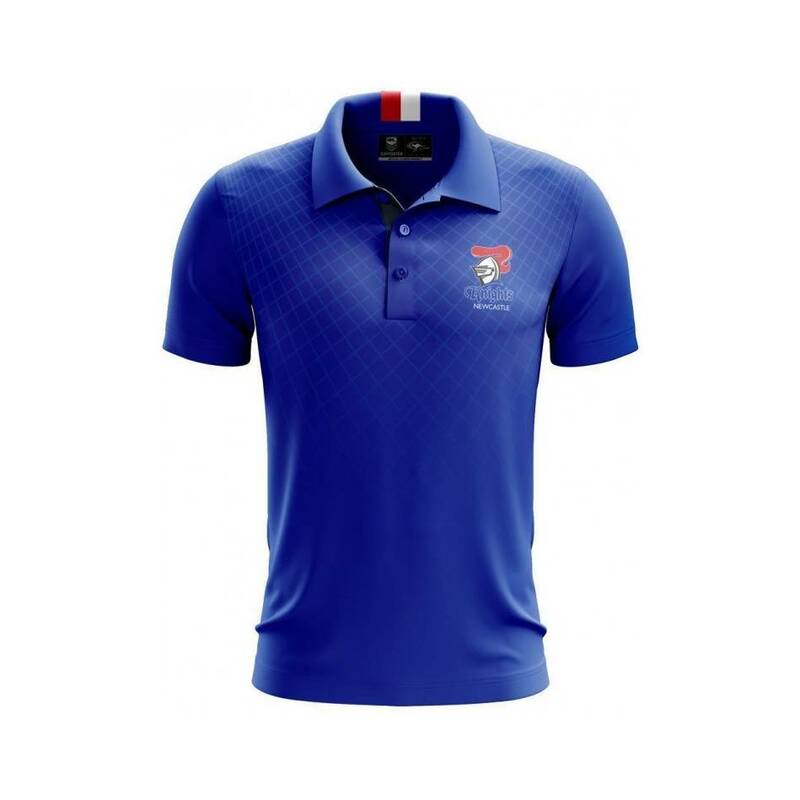 Whether it be at a game or a social event the Newcastle Knights 2019 Men's Grid Performer Polo offers both a classy and casual look for all supporters. Become a member to get the special pricing of $54.00.